"The idea of a bike is pretty simple and is truly a childhood milestone," says Zach Marsh, Community Relations Manager for Variety the Children's Charity. "But for some kids, riding a bicycle isn't as simple as graduating from training wheels to a 'big kid' bike." 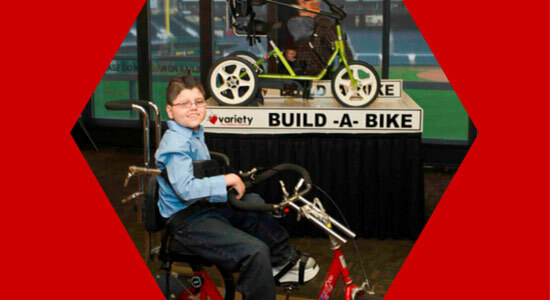 Variety provides programs, experiences, and equipment for children with disabilities. One of those programs, "My Bike," offers free bicycles tailored to each child's special needs. These bicycles cost about $1,800 a piece – a price tag that makes them impossible for many families to afford. That's why our law firm has been a proud supporter of the "My Bike" program since it started in 2012. We want every child to experience the freedom that comes with riding a bike. 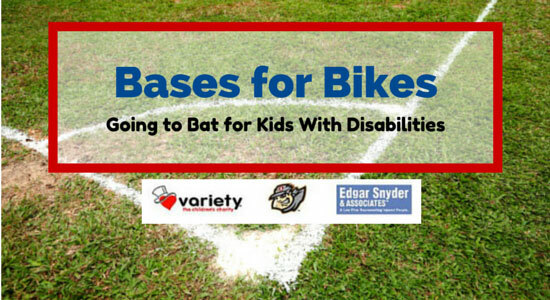 We've teamed up with the Altoona Curve for our latest "My Bike" program, "Bases for Bikes." For every base that the Altoona Curve steals during its home games this season, we'll donate $50 to Variety's "My Bike" program. "When we began 'My Bike', we knew that it would be transformative for the children, but we didn't initially realize the impact that the bike would have on their siblings, parents, grandparents, and the greater community," says Zach. Over 900 children have received adaptive bicycles from Variety so far, and our law firm is honored to be a part of something that has made such a big difference in so many lives. If you'd like more information on Variety or to learn how to get involved, you can visit their website. Altoona Curve fans – make sure to follow us on Facebook and Twitter. We'll be giving away tickets to Curve games during the season so you can cheer on your team while they go to bat for some truly amazing kids. Our law firm is committed to helping people with disabilities no matter their age. Whether it's through community service projects or our legal work, we're proud to be able to give back. If you or someone you care about is unable to work due to a disability, feel free to get in touch with us for more information on Social Security disability benefits. We're available 24/7.